The Hastingwood Industrial Park extends to approximately 15 acres and offers a total of 350,000 sf of good quality factory, warehouse and office space. Unit sizes range from under 400 sf to over 20,000 sf with a large proportion designed for small and start up businesses. HIP is located just off Junction 5 of the M6 and is only 4 miles from Birmingham city centre. The location is excellent for access to the motorway network, the City centre, the NEC Exhibition Centre, the Airport and the totally regenerated Heartlands business area. HIP offers a friendly and efficient service aimed at promoting the business of our tenants. What is good for you is good for us, and we want to attract and keep successful businesses of all types and sizes. The site features 24/7 manned Security and CCTV systems. On site maintenance and management teams combine to deliver a series of services and optional facilities which provide a wide range of businesses with efficient and cost effective premises. Hastingwood Industrial Park has a popular caf� on site, serving hot and cold food during the day. The parking and access arrangements work well, and there is always someone to ask if you need help or advice. 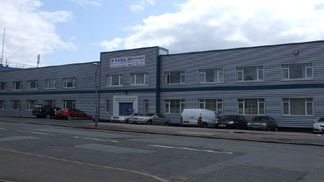 For some companies, the Park Business Centre on site is a valuable source of occasional secretarial assistance or training room and conference facilities. The HIP Units and Management system are designed to make it easy for you to move in, easy to stay, and easy to either expand or downsize. Running your business is much easier for you when you do not have to be a Landlord in your spare time. Subject to demand, Tenants can transfer to more suitable premises at HIP as their needs change. The External appearance of the Estate is as important in creating a good impression for customers and suppliers alike as is the internal layout and condition of your premises. The on site management staff at HIP ensure that roads and car parks are kept swept and clear of both refuse and the abandoned cars or stored vehicles which are such an unwelcome feature of other trading estates. External common parts are freshly painted and all lighting and other services are well maintained. The various common toilet areas are finished and kept to a high standard. Furnished Offices or Business Centre facilities (including conference room or board room hire) can supplement factory space when required, and temporary storage accommodation is normally available. If you have moved recently, you will probably still be smarting from the experience of dealing with a Telecoms provider and with sorting out new Electricity, Gas and Water supplies. Not when you come to HIP. We provide all these utilities to you as part of the package. No sign ups, no delays, no annual contracts � you pay the same prices but avoid all the administration. HIP has Conference and Meeting Rooms available for rent, which can be provided with internet connected PC�s and projectors. There is a restaurant on site, reception, telephone answering, audio and copy typing, office services, several car parks, and a full range of IT and Telecoms facilities. On site maintenance, telecoms and IT assistance, a free Rates Advisory service, local knowledge - HIP will help you if we can.